Tusshar Sasi	 December 3, 2016	 Leave a Comment on “Kahaani 2″… It’s all about the first half! Sujoy Ghosh’s Kahaani was no ordinary film. A taut thriller that gave us no scope to spot bloopers, the film was also a benchmark in the so-called ‘heroine-centric’ realm of cinema. 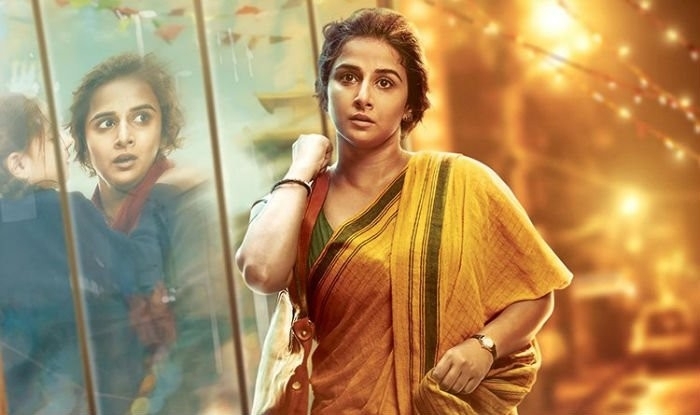 Helmed by the same lead actor (Vidya Balan), Kahaani 2: Durga Rani Singh is no sequel but also no patch on the first offering in the franchise. Decent merits notwithstanding, loose writing is the ugly antihero in this fast, vulnerable story. Kahaani 2 is about Durga Rani Singh, living a routine life in a small West Bengal town, Chandannagar. Durga has a veiled immediate past and painful childhood for memories. Cut to a flashback, she lived in this sleepy, hilly town called Kalimpong. Adding smiles to her solitary existence was the 6-year old Mini, a student at the school she works. Mini has a dark secret too, which Durga assumes likeness to her own cruel past. The writers (Ghosh, Suresh Menon) catches a terrific insight on a victim’s mindfulness to a prospective prey. The whole episode of Durga at Mini’s house is eerie to the hilt. That one chance encounter with the Origami-loving perpetrator? MIND BLOWING! The semi-spooky atmosphere in Kalimpong successfuly generates interest and intrigue as Durga unravels the mystery. Through a series of adventures, she manages to uncover the mystery and a near-fulfilling first half come to an end. The cracks begin to show post-interval. We see added layers in the plot that add nothing at all to larger scheme of things. We get negative leads that are too plastic to be taken seriously. There are several questions that are left unanswered, which wasn’t the case with Kahaani. How did Durga manage to maintain her new identity for such a long period? After all, the antagonists (the Dewan family) were rich and influential to nail her up! How could anyone enter a hospital emergency wards during wee hours? That too contract killers with weapons. Why would someone blow up an entire building to help someone escape legal tussles? How rich was Durga to afford medical treatment for her daughter in the US? Another major drawback is in the way they connect Durga and Inderjeet. Inder’s personal life is showcased only to justify an important scene – a crucial phone call. Such colossal waste of reels! Despite this stance, it is unclear on what Inder feels within. Oh yes, we are aware how dapper Arjun Rampal looks in the cop uniform. That doesn’t mean he should wear them to sleep, funerals and in the film’s case – an encounter all by himself. As for Durga, can it get more ridiculous than her finding that mobile phone in a garbage sack days after losing it in a fatal accident? The negative leads who are menacing in the first half turn mere buffoons in second. The duo shadily hides in a dockyard with time and date fixed for a murder. Jugal Hansraj, in particular, is too clownish to be taken seriously. Is this your follow up to the Kahaani’s haunting Bob Biswas, Mr. Ghosh? Fact to be told, Kahaani 2’s story ends at the interval point. What remains is an unexciting process to reach the finale. Given the flow, we are aware of Durga’s inevitable reunion with her daughter. The tacky and predictable climactic twist makes it more awkward. As minuscule characters amuse bigtime (the footpath dweller, the patient in hospital, the boyfriend), the film suffers a severe lack of strong supporting characters. That too in a film which invests in several filler characters. Still, what makes Kahaani 2 bearable is its no-nonsense execution approach. Ghosh presents the central theme with notable sensitivity. Notice Durga’s reaction every time a man touches her. The scar is intact, so is the hurt. Reminds us of Shyamaprasad’s Malayalam drama Arike:So Close that dealt with the same theme. When destiny offers Durga a choice to move to London over protecting a secretly abused child, she chooses the latter. Not a tough choice for a victim herself! The Rajnigandha reference to justify Durga’s alternate identity is sure to make you nostalgic. We also notice Gulzar’s Chhoti Si Kahaani Se played at a very apt moment. Among other smart touches, it is intelligent of Ghosh to lace out Durga and Mini’s creepy past in form of a personal diary. There is an appropriate sound department and measured cinematography creating the right mood. Dialogues are well-penned with some smartly inserted humour. Serving further justice to the film’s woeful subject is Vidya Balan’s robust performance. The rush, the resolve – all of it reflect in Vidya’s eyes and voice. Arjun Rampal suffers from the Aishwarya Rai syndrome – he is too dishy to be positioned as a cop awaiting promotion in the obsolete Chandannagar Police Station. This is pitiable for a performance that is fleshy and understated in equal doses. Out of the supporting lot, the only actor that impresses significantly is Inderjeet’s senior official. 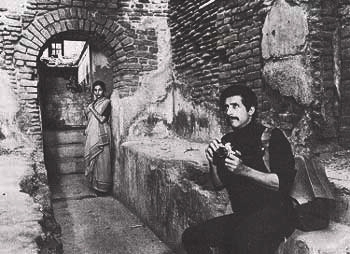 Previous Post“Talaash”… An intense noir-mystery that addresses grief with great compassion! Next PostBefikre – Classic Aditya Chopra soundtrack with a Parisian twist!